By Design is the free, quarterly e-magazine produced by ASGCA and the publishing team that gives us Golf Course Architecture magazine. Each issue features news about the latest in golf course architecture, from quick, late-breaking updates to in-depth stories about interesting, innovative projects worldwide. ASGCA publishes books, brochures and one-pagers to help inform the golf industry about what golf course architects do, and to provide advice on how to develop new courses, remodel existing layouts and better manage resources. Most publications are free, and may be downloaded. Printed copies of all publications are also available, and are quick and easy to order. The Industry Providers database is a resource visitors can rely on to find out more information regarding ASGCA’s partners & sponsors, golf’s premier Allied Associations, and a number of leading industry suppliers and vendors. These groups, organizations, and companies are responsible for building, maintaining, and servicing many of the golf courses across the United States and around the world. Remodeling University is designed for golf course decision-makers who are either currently involved with a course remodeling project or those who are entertaining the possibility of a future golf course remodeling effort. ASGCA planned Remodeling University to provide decision-makers with useful information about budgeting, the planning process and the roles and responsibilities that architects, superintendents, builders, and others will play in a remodeling initiative. Remodeling University sessions also offer insights on permitting, cost estimations, plan preparations and suggestions on how to sell a remodeling project to your membership. There are numerous golf associations around the United States. We have listed many of them here for your convenience. ASGCA and the ASGCA Foundation have been gathering “living history” interviews with ASGCA members for several years. ASGCA works with the Turfgrass Information Center at Michigan State University to produce the Architects’ Gallery. 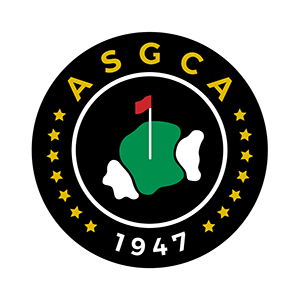 This gallery makes information and interviews with participating ASGCA members immediately available to owners, developers, managers, editors and students around the world.